Set in alcove, Niche Bouquet with Border tapestry shows a floral arrangement in a golden urn. This still life shows the floral main subject in an architectural setting, to celebrate the beauty of both nature and architecture. 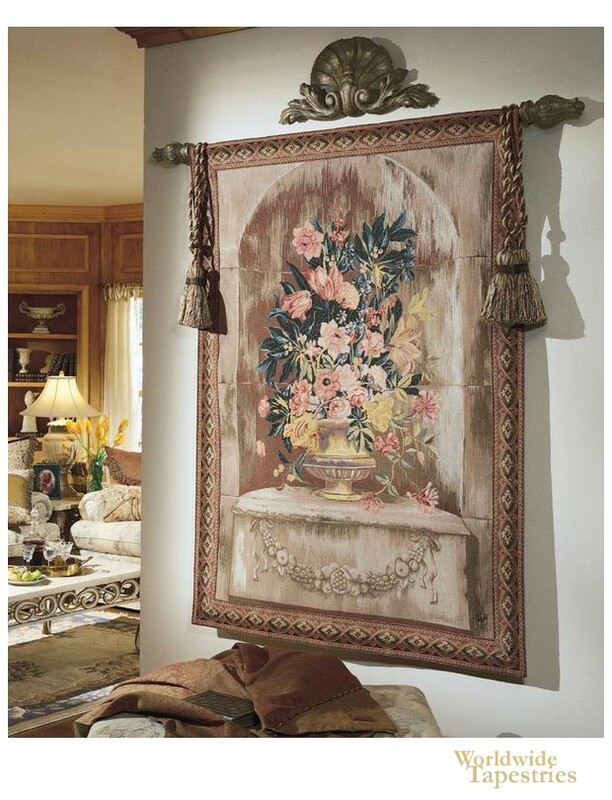 This French tapestry "Niche Bouquet" is backed with a lining and has a tunnel for easy hanging. Note: tapestry rod, tassels and accessories, where pictured, are not included in the price. Dimensions: W 49" x H 66"